Muslims, Yoga and the Empty Heart of Fanaticism: Kaif Mahmood. 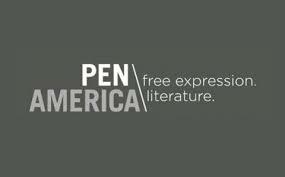 te last week, a letter circulated to members of PEN American Center protesting the organization’s decision to award the PEN/Toni and James C. Goodale Freedom of Expression Courage Award to the French satirical newspaper Charlie Hebdo at its annual awards dinner in New York on Tuesday night. Russell Blackford examines the controversy generated by PEN America’s decision to give Charlie Hebdo its free expression award. There has been much public controversy over the decision by PEN America to give its freedom of expression award to Charlie Hebdo. I was scathing about some of the critics of Charlie Hebdo in the immediate wake of the January massacre of its staff (I discussed the responses in an article in Free Inquiry – it’s behind a pay wall for subscribers, however), so you might expect me to be equally scathing of the high-profile authors, such as Peter Carey, who are currently protesting PEN America’s decision. Actually, no – I have a slightly more nuanced view this time. Part of what I was criticising in the Free Inquiry article was the sanctimonious attacks on Charlie Hebdo when the corpses of its murdered staff were scarcely cooled. Obviously, time has passed… and it is now a more reasonable moment for reflection on the magazine’s content. The grant of an important award to it also makes this a time to reflect on the content of the magazine and for any fair criticisms to be expressed. As I said in Free Inquiry, if Charlie Hebdo were a clearly racist and vicious publication we would condemn the murders but not stand in solidarity with the magazine, for example by using the hashtag #JeSuiCharlie. Certainly we’d not, after all this time for consideration, support prestigious awards for it. There’s at least a genuine controversy about exactly how supportive we – and organisations such as PEN – ought to be. There is a pronounced pessimism in our thinking about international politics. We are told the world is getting more dangerous. That the Cold War threat of nuclear annihilation was a pale shadow of the turmoil we see around us from Ukraine to Syria to Pakistan. at is the Islamic State? Jacobin is happy to feature an interview with journalist David Barsamian and Professor Noam Chomsky. In it, Chomsky explains the roots of ISIS and why the United States and its allies are responsible for the group’s emergence. In particular, he argues that the 2003 invasion of Iraq provoked the sectarian divisions that have resulted in the destabilization of Iraqi society. The result was a climate where Saudi-funded radicals could thrive. The interview also touches on Israel’s most recent massacre in the Gaza Strip, putting it in the context of the vital role Israel has always played for the United States. Chomsky then turns to today’s racist scapegoating of Guatemalan immigrants, tracing the conditions that lead them to leave their homes to the Reagan administration’s brutal destruction of the country. Finally, Chomsky shares his thoughts on the growing movement for climate justice and why he thinks it is the most urgent of our time. The full exchange will be broadcast by Alternative Radio. There are few voices more vital to the Left than Professor Chomsky’s. We hope you read and share the interview widely….. I found that I had some fundamental differences with it and decided to write them out here. Please do read him before you read my response. A well argued and persuasively written statement; unfortunately, I find myself un-persuaded. The first disagreement. The blasphemy/bigotry distinction can be a useful academic device to understand particular situations, but is a dangerous and reactionary position in its political implications, specially when applied on the “world historical stage”. If I am outside a certain religious tradition, am I not allowed to debunk, attack, vilify and lampoon that tradition? I consider the entire human heritage as mine and for me every criticism, and more, on any human tradition is, to use that fashionable term, an “internal” attack. I have as much a right to denigrate Manu’s misogyny as I have the right to lampoon Mohammed.